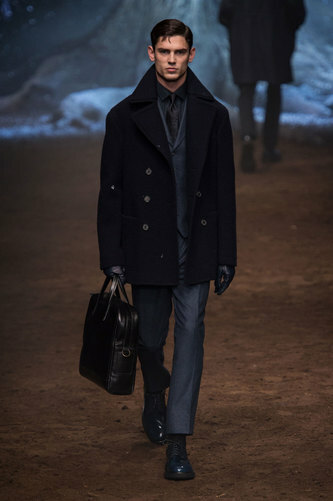 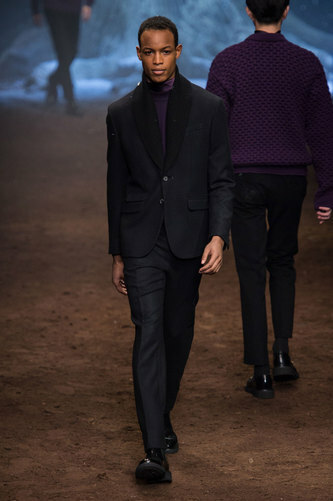 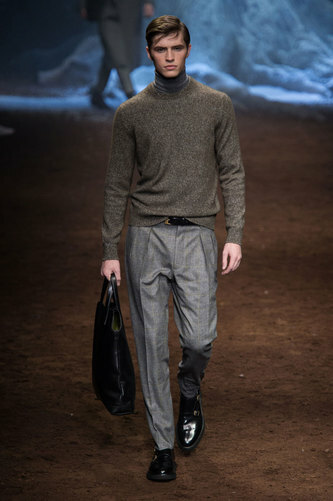 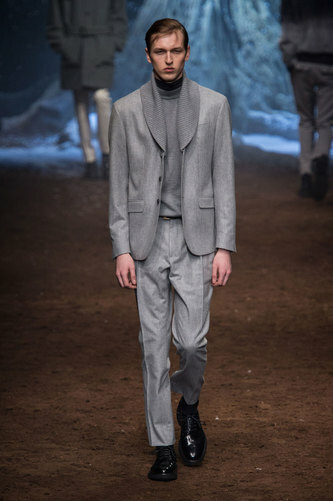 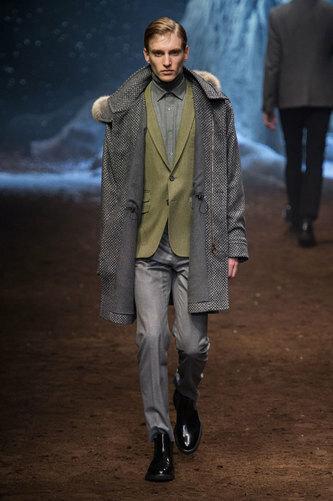 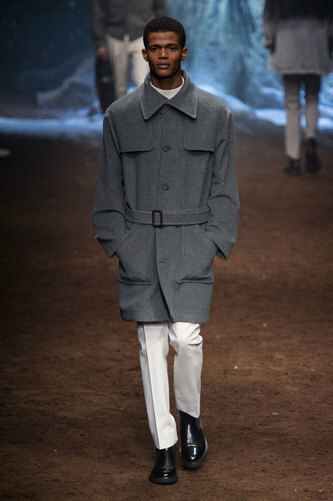 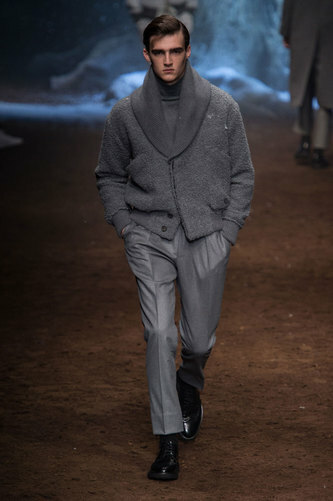 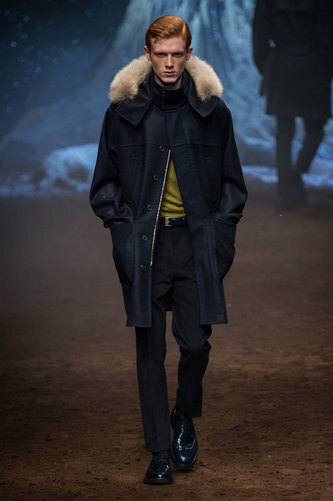 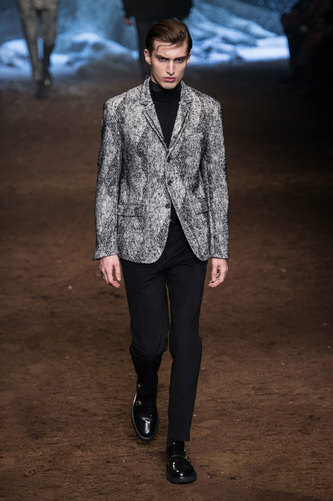 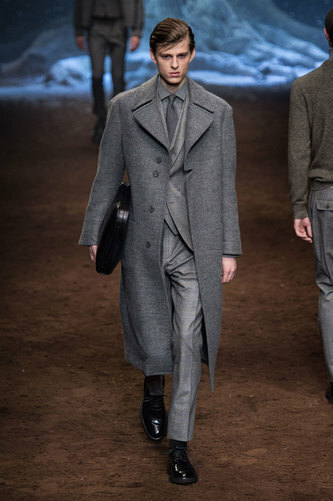 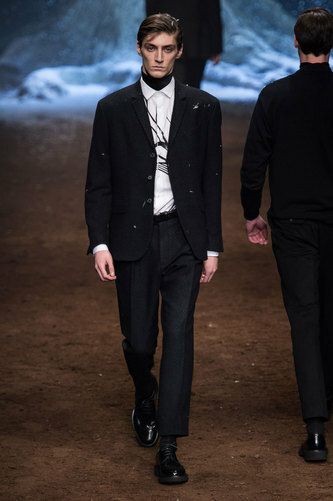 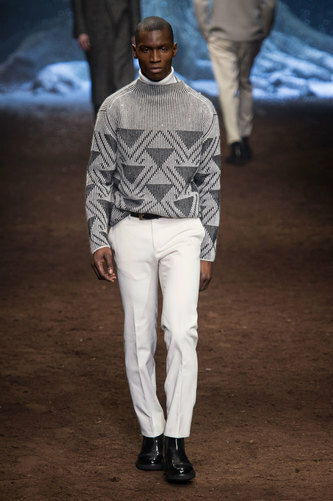 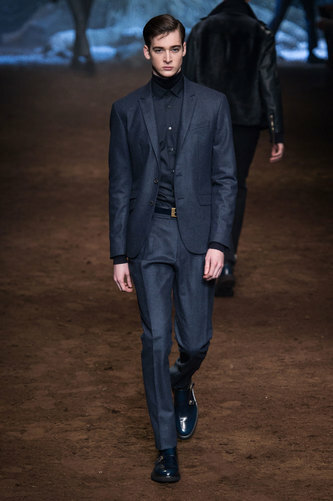 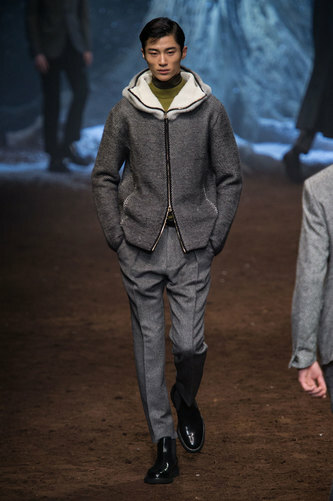 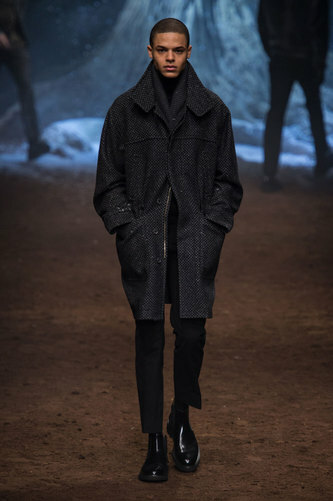 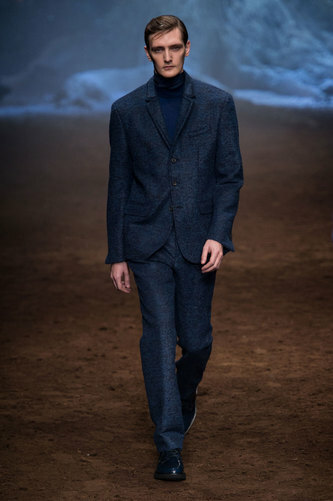 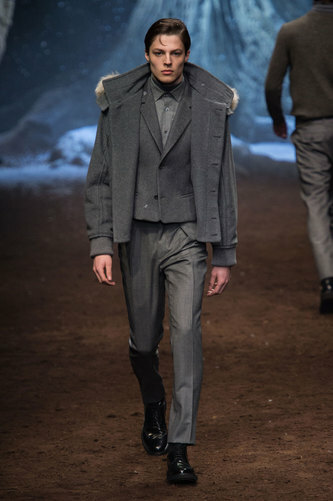 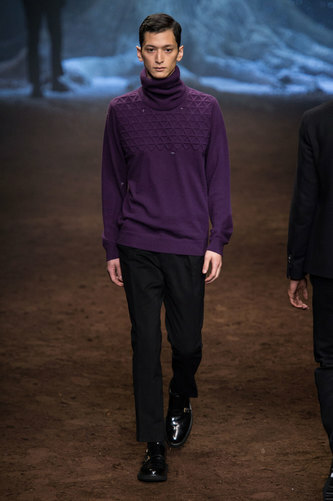 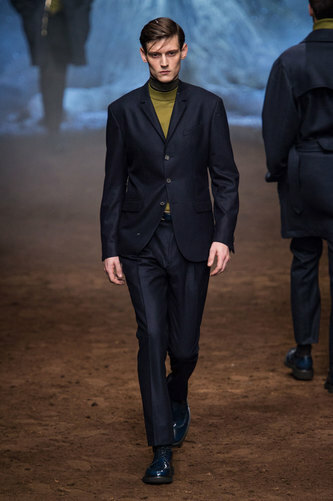 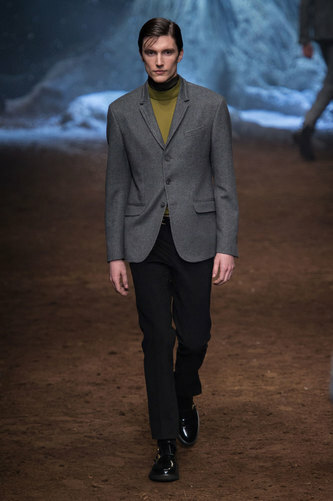 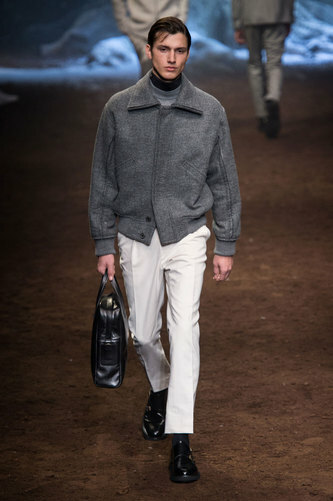 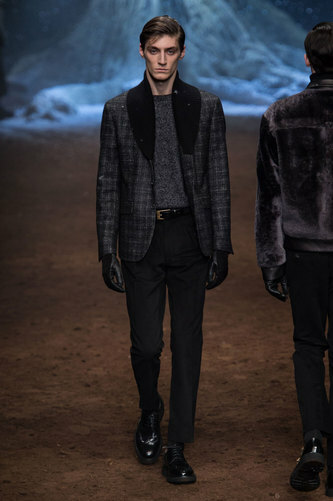 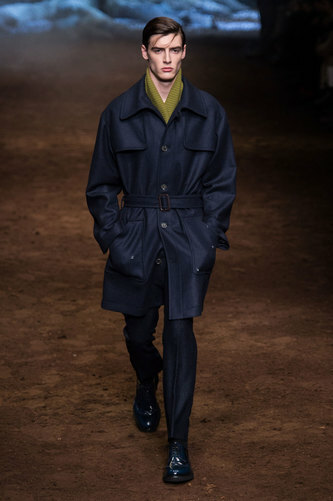 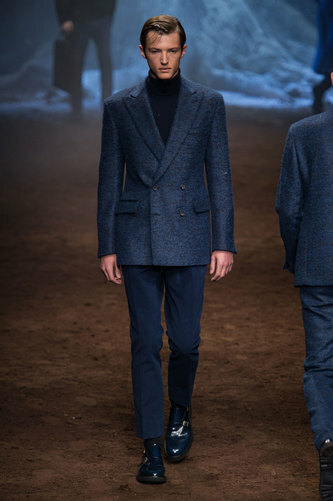 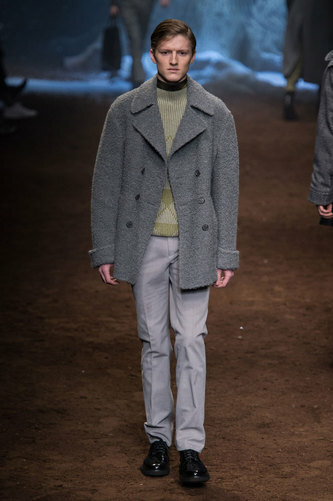 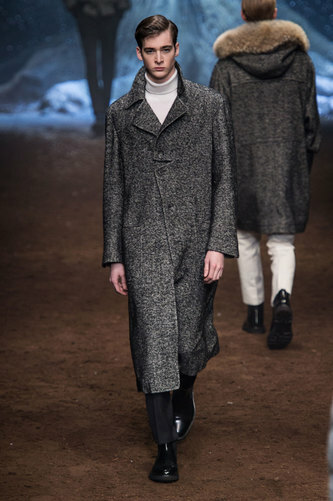 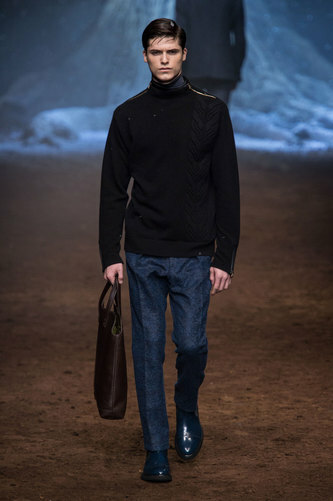 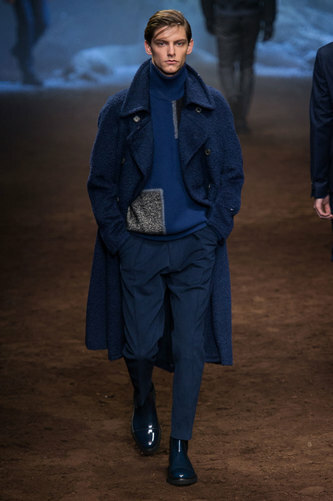 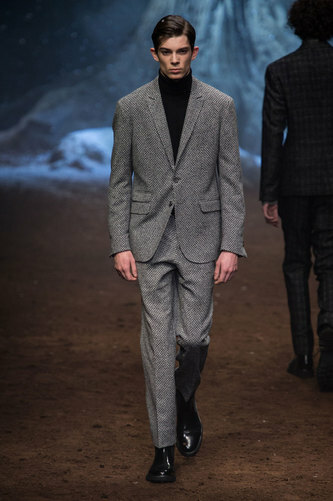 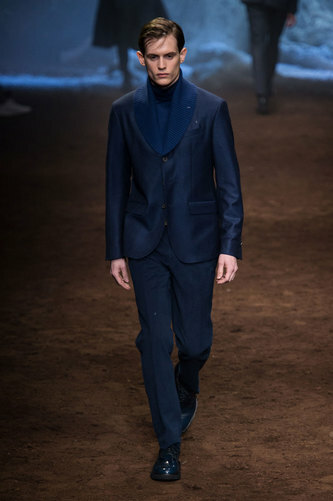 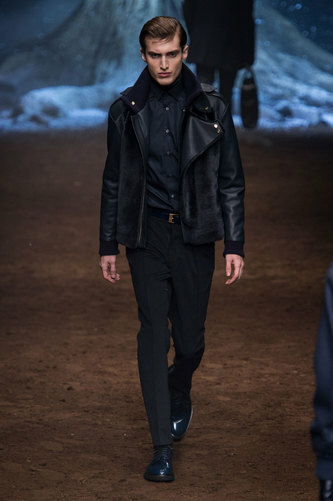 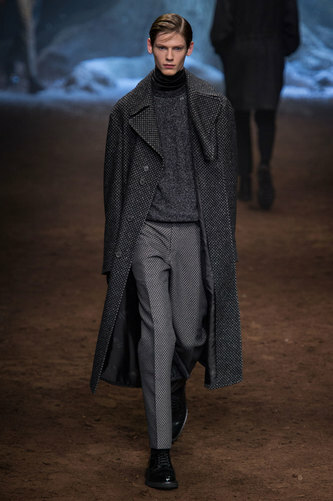 Corneliani Man Autumn-Winter 2015-16 – Corneliani opened the show with blue monochromatic total looks and then developed more greysh tones. 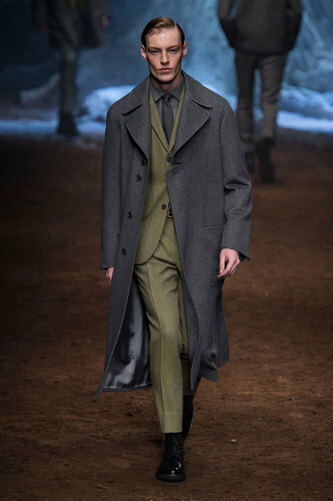 Pistachio green details as pop colour made the colour palette warmer. 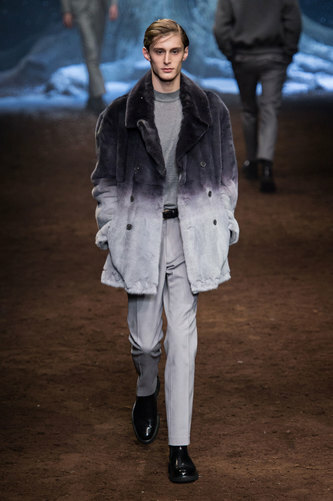 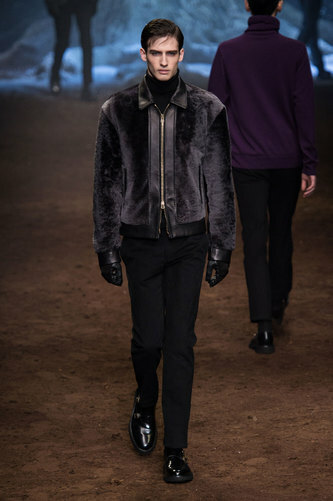 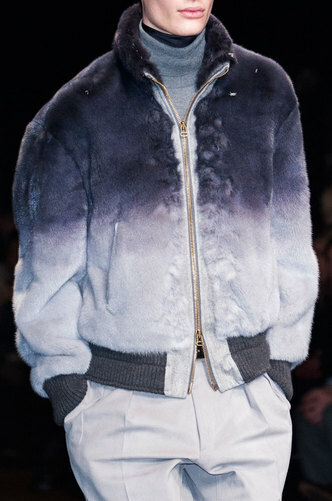 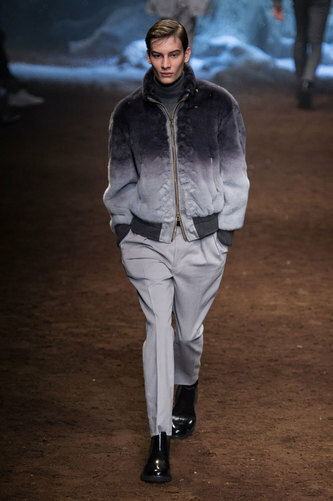 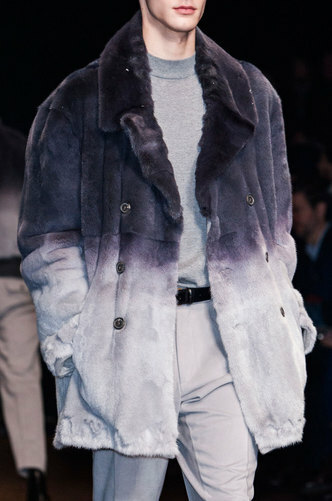 The Italian brand designed a miscellaneous variety of garments while maintaining its classic style also introduce blended fake fur jackets. 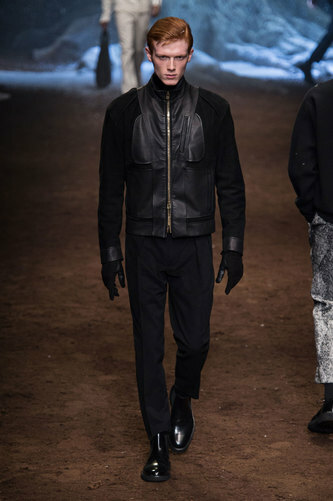 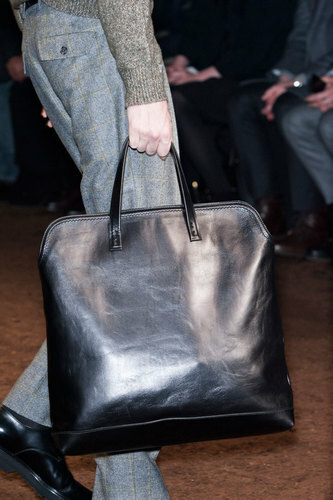 Leather details such as gloves and bags are also present. 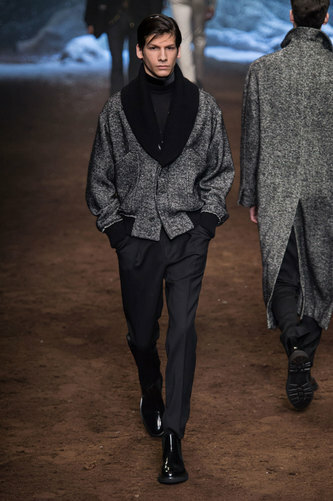 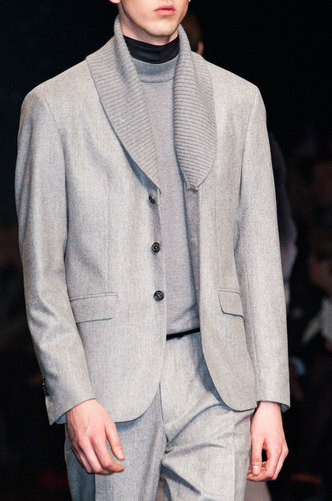 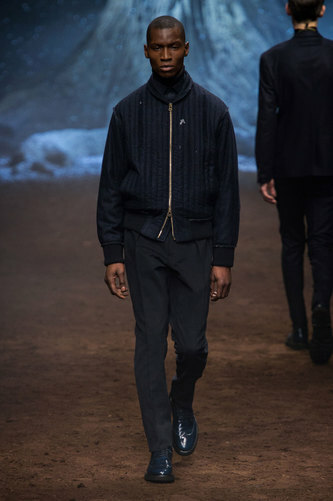 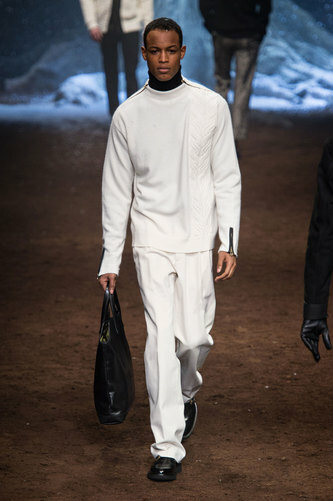 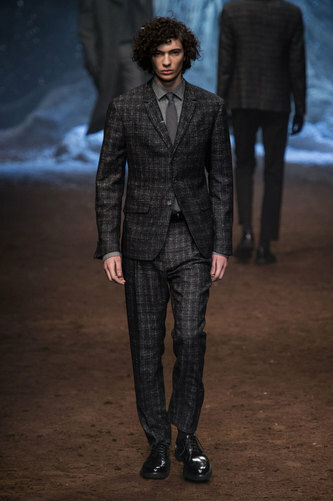 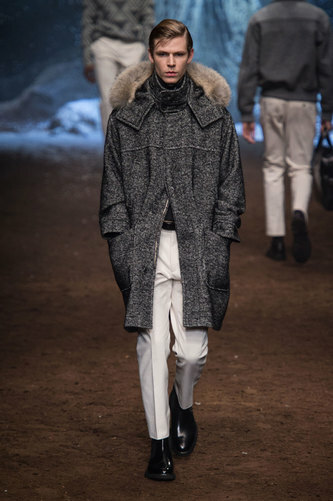 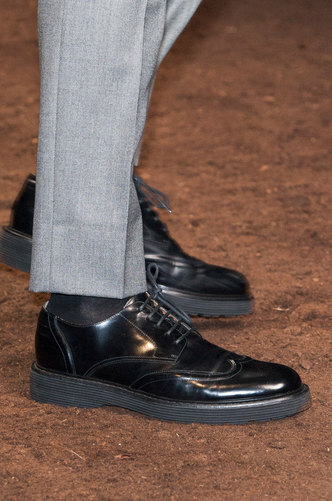 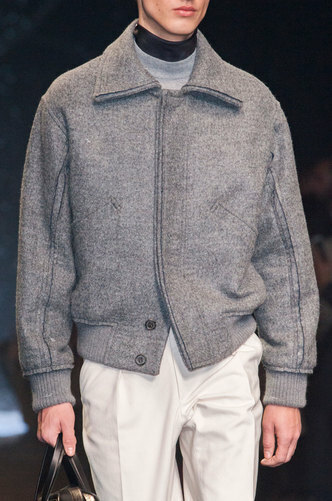 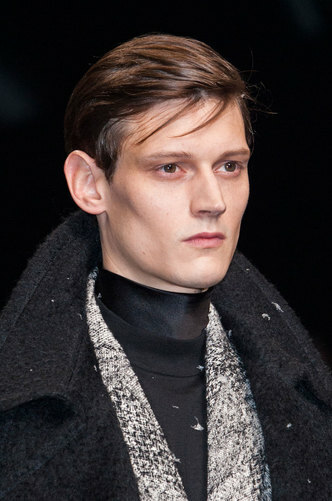 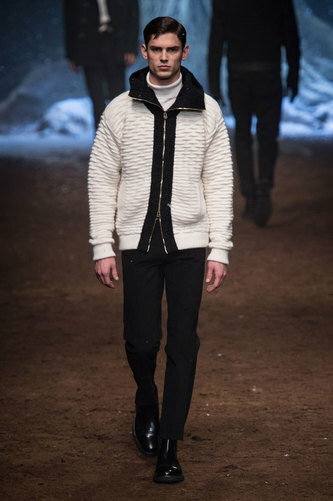 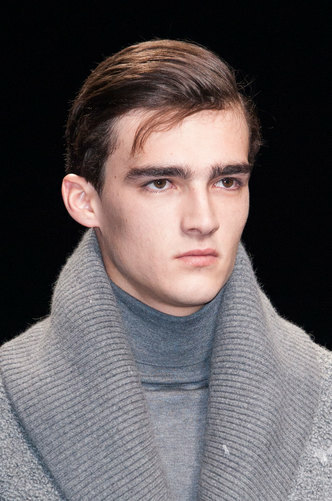 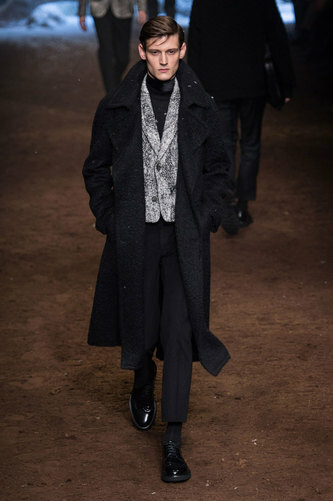 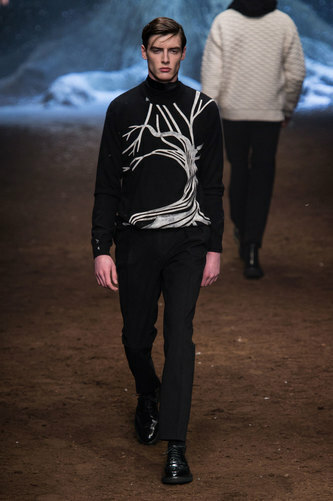 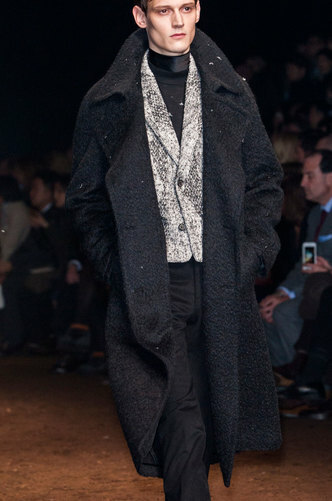 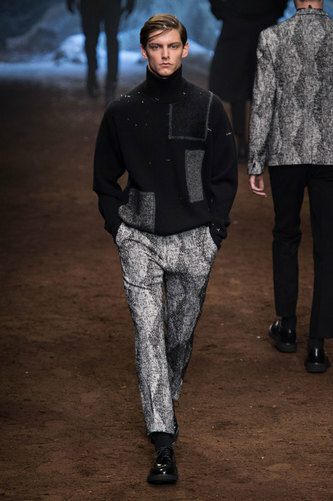 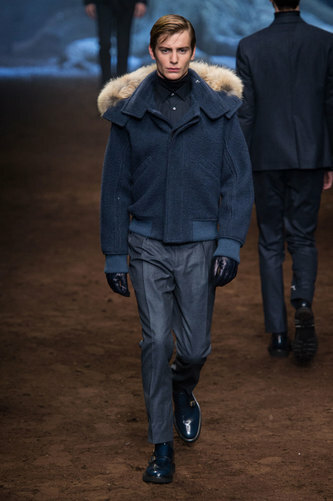 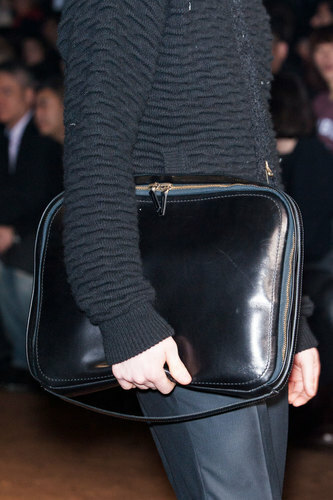 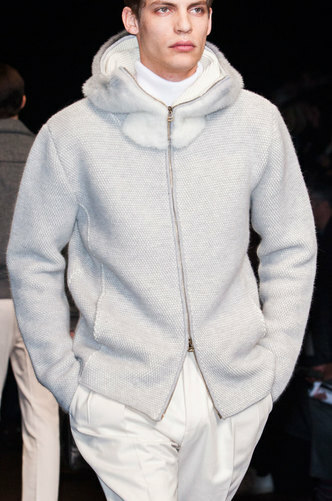 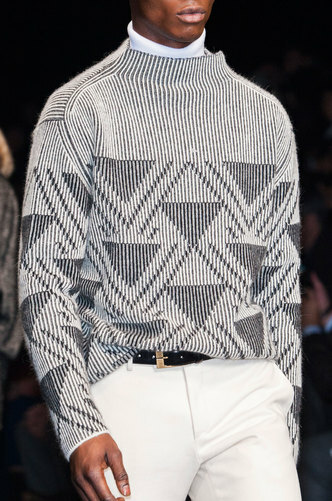 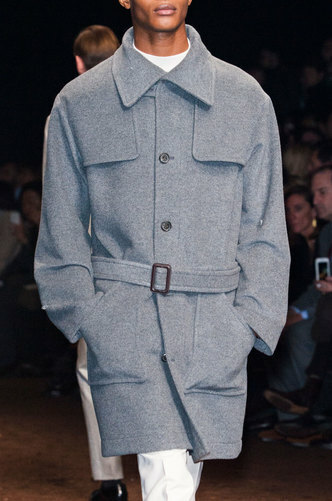 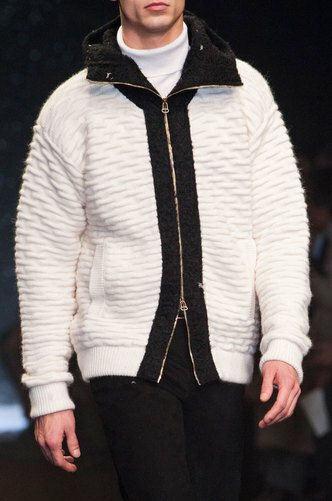 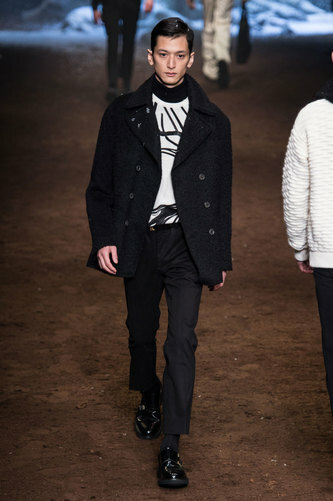 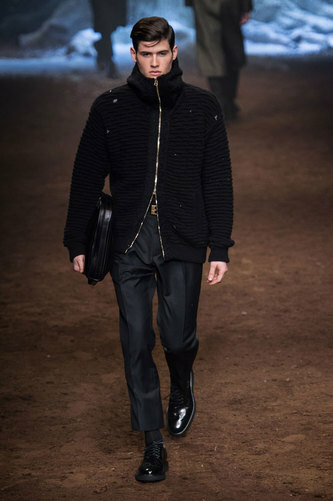 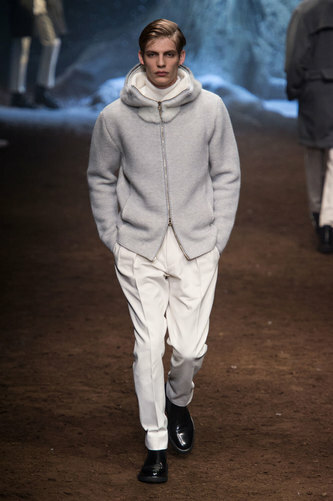 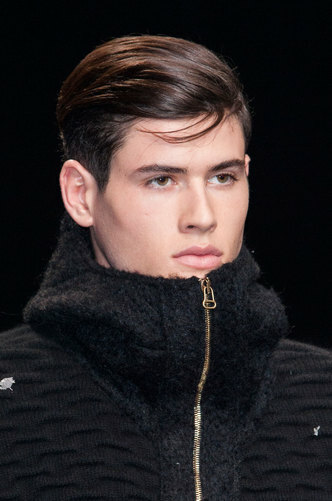 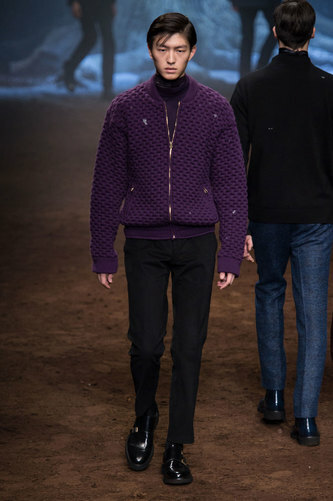 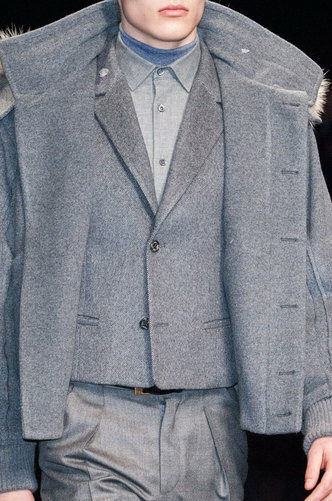 Corneliani used different textiles and shapes. 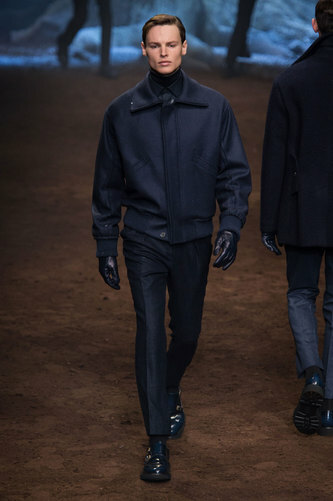 All the outfits are matched with shiny paint classic shoes.